Each year, naval architecture students gather from all over the Europe for the regatta event: the International Waterbike Regatta. The race was founded in 1980, with the aim to enable students to put theoretical knowledge into practice and to advance exchange among students. 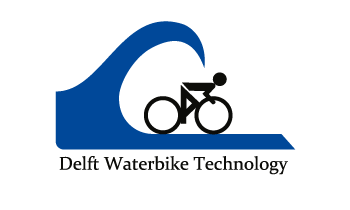 In various disciplines waterbikes, designed and built by students, race against each other. Since then the IWR took place in various European countries as Holland, Germany, Poland, Turkey and Croatia, and became an annual highlight for students from several European countries. The event brings together over 300 students each year and is a great platform for students to combine creative work, exchange with colleagues from other countries and having a lot of fun racing the boats. The competition between the different universities lead to high-tech innovative and fast waterbikes; lightweight constructions made of composites, reaching easily speeds of more than ten knots. During the IWR, all boats sail six disciplines for points. In each discipline, a classification will be made to determine who's the fastest or strongest. A seventh discipline, the secret mission is held for fun and, in where it is common to organise a discipline what benefits the organising team the most. ased on a least-point system, the overall ranking determines the best boat of all IWR. Below, the disciplines can be found.